Big Citations is the big brother of our Hyper-Local Citations service. 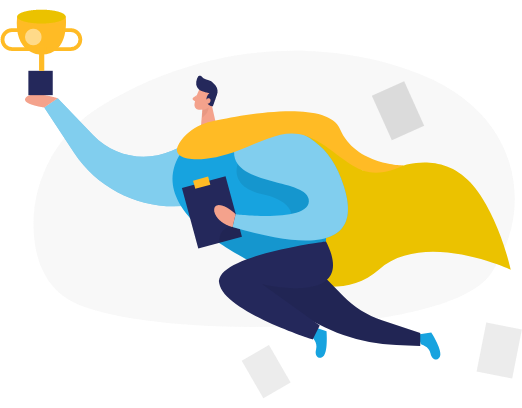 Big Citations focuses on a handful of must-have citations and big data aggregators, perfect for new sites or businesses who haven't built many citations yet. 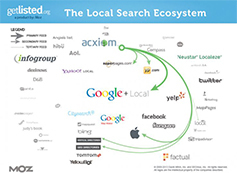 We combine submission to the big data aggregators that UBL submits to like Infogroup and Acxiom as well as creation of business listings on the top 20 best business listing sites, most are what GetListed.org reports. This one-two combo makes for the most compact, authoritative local ranking service you'll find anywhere online... all at a price affordable enough to resell. *Use our Citation Cleanup & Boost service for anything that needs editing. Do Your Links Actually Index? With every order we push your live links through our indexing process. There is no extra charge for this and the majority of what we build for you should index just fine. In fact, we do this for all services. You may have seen this infographic put together by GetListed.org. It shows first-hand the kind of power the large data aggregators have over all other citation sites. We can submit to the 2 most influential data aggregators. Cumulatively these 2 sites feed over 15+ other major sites like Google Maps, AOL Local, Apple / Siri, and others you've heard of. Through testing some of these agreggators, I've found that big ones like Infogroup will even create a Google Places listing (among many other sites) for you, if one doesn't exist already. This big dog powers the likes of Google Maps, Mapquest, Bing Local, Yahoo Local, TomTom, AOL Local, and the list goes on. 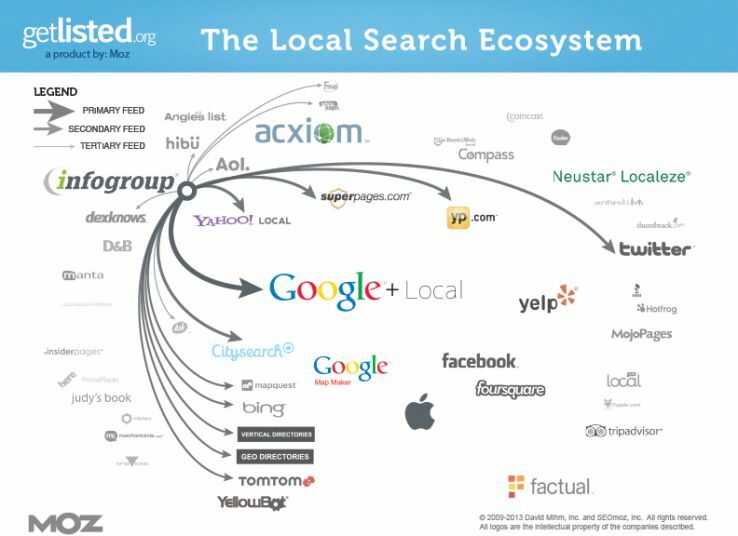 Out of all 3, this is the single most powerful local data aggregator. I have had Google Places pages created automatically after submission to Infogroup. A big data company, you can even use their data in Facebook Ad targeting. 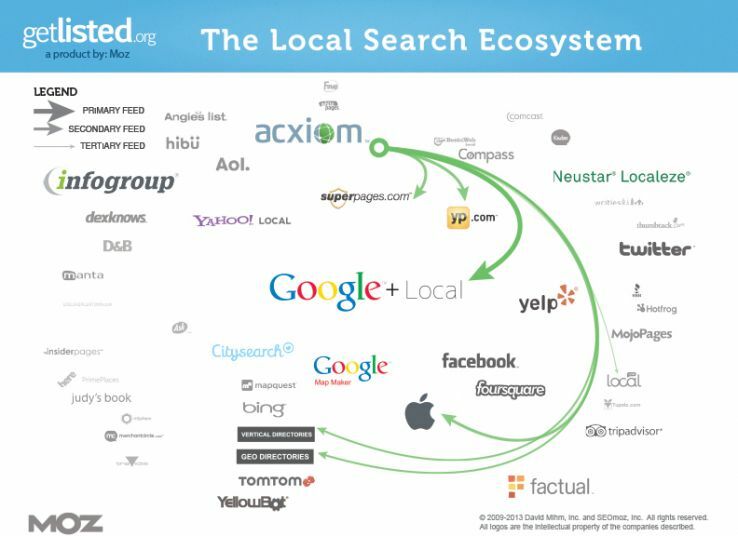 They power major sites like Yelp, Yellowpages, Superpages, Local.com, Apple, and more. If your business information is incorrect at any of these 3 major providers, it may override what the major search engines have in their own database. And if you're not included in the databases of these major providers, you might not be able to rank as easily in Google, Yahoo, and Bing. Important Note: Localeze is one big data provider that is missing and we have had to exclude it because they charge $297 per year for listing with them. 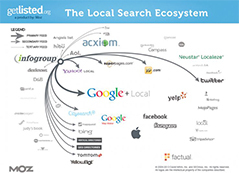 However, what you get with Infogroup, Acxiom combined has more reach than Localeze. Plus, at just 10% of the cost through us without a yearly subscription this service right here is a no-brainer. According to data from GetListed.org and WhiteSpark (see the Best Sources for Local Citations by City) the list below makes up some of the most important business links and citations a business can get online. We verify that the business is listed on these sites below and if needed, we create a listing for you. I've been testing citations since 2012, here's some of my findings. If your local site is already on the map for some of its important keywords (2nd, 3rd, 4th page), chances are high that citations will have a noticeable affect on your SERPs. Sites or businesses that don't have a physical address. You can rank for a while with a fake address but it's not a long-term strategy. Here's also a couple results even more recently from 2014 - a local roofing and a repair keyword. 1. What do you do if you come across a listing that already exists? If we come across listings that you already have, we'll add them to the report and complete a citation somewhere else. You are guaranteed at least 20 new citations from this service + submission to the big 3 data agreggators if it's needed. 2. What if I have already ordered Hyper-Local Citations for my site? We will consolidate the work from this report into the Master List from your Hyper-Local Citations order(s). 3. What does my site need to get started? All you need is a business name, address, phone number, and a URL. 4. Can you do citations for the UK and AU in the 'Big Citation' Package? Yep, while many of the sites on our list are for USA only, we can easily pull those out and replace with something else if you're ordering for a biz outside of the US. 5. 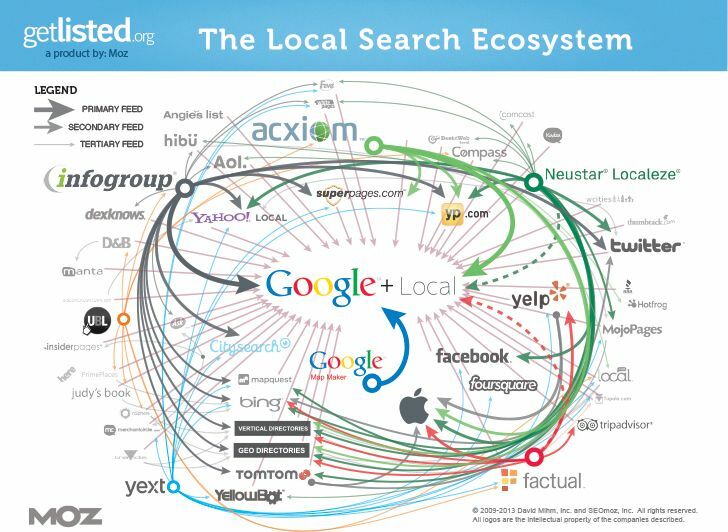 What's the difference between Big Citations and Hyper Local? Big Citations is what we use to get the main authority citations and data aggregators out of the way. Hyper Local Citations is what we use to get the remaining 300 or so citations done, along with any city or niche specific citation sites completed. 6. My businesses doesn't have a physical location so can or should we not try Big Citations at all? "I've paid double what Andrew is charging for similar guest posts in the past. This is A+ value for your money right here." "Quick Caption Review. Really impressed. I will be ordering quite a few of these." "This is a high quality service that I would use again. well written related content on a site closely related to my niche is as good as it gets these days." "If the quality of these is consistent, Andrew will hae a long-term customer for quite sometime! Overall = 5/5"
"The sites that my links got put on are natural sites and the quality that I shoot for when looking for guest posting opportunities." "If you are looking for guest posts, this is the guy to go for." "When I opened the email to view my order, I got so excited and filled with ahppiness over the quality of this link that I got up from my chair and punched a huge hole in the wall." "This is cheaper than what I generally charge SEO agencies so this even is an opportunity for me to mark up and sell his service to others." "These are the exact type of links that you want for your site. Buy them." One client ordered Big Citations + 40 Hyper Local Citations... Here's her results so far! What If I'm Working with Multiple Locations? The way franchises do it is they create a separate sub-page within the main site for each location. This sub-page should contain all the essentials for local ranking: the address, phone number, (ideally) a google maps embedded, content relevant to the area, and (ideally) a strong CTA. How Do I Know If My Clients Need This Service? There's a quick way to find out. Swing on over to GetListed.org and drop the business info to run a quick check. Their % score will give you a good idea on how visible the business is with major citation sources.